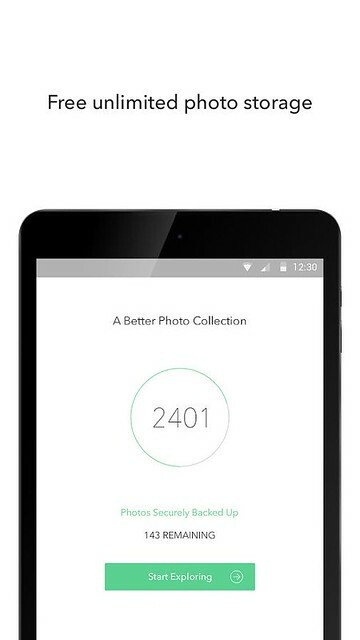 Its a great feature, taking a photo on your smartphone or tablet and automatically having it be backed up to the cloud storage. This way you are not missing single clicks taken from your smartphone and if your phone be lost or damaged all your pictures are safe. 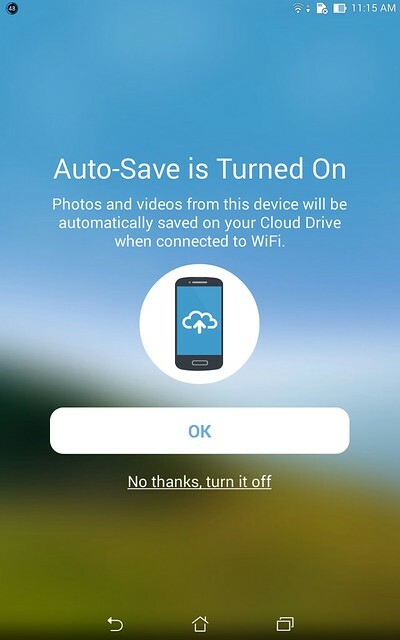 Today we are listing the best 6 Android apps that help you to auto upload photos to the cloud storage. Here we go. Flickr is called the Facebook of photo sharing. Flickr is a must have app for photographers that allowed backup all your photos, not just your favorites, with 1000 GB of free storage, thats stupendous. First download the Flickr app from Google Play store and sign in with your Yahoo account. You will asked to Auto Sync your photos to Flickr, all your photos are private until you share them. Photos will upload both over data connection, and WiFi, also have the option to choose WiFi only. Facebook is the worlds largest social networking platform used by millions to connect with family, friends etc. Facebook’s auto syncing option upload all images from your device to the Facebook. 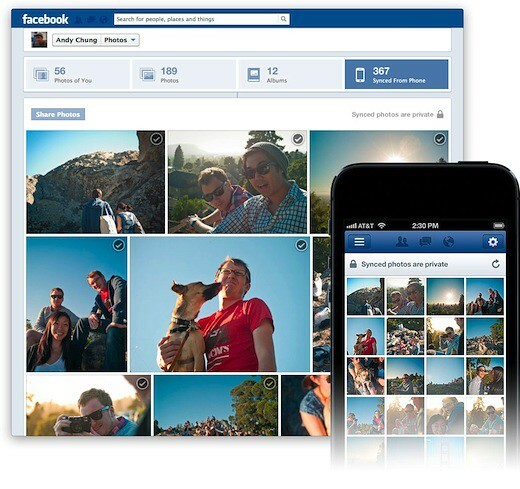 When you turn on photo syncing, your photos will be saved to a private section of your Facebook photos. You can share your synced photos on your Timeline from your desktop computer. To start syncing photos from your smartphone go to your profile, tap photos, tap synced at the top right of your photos section and follow the on-screen instructions. 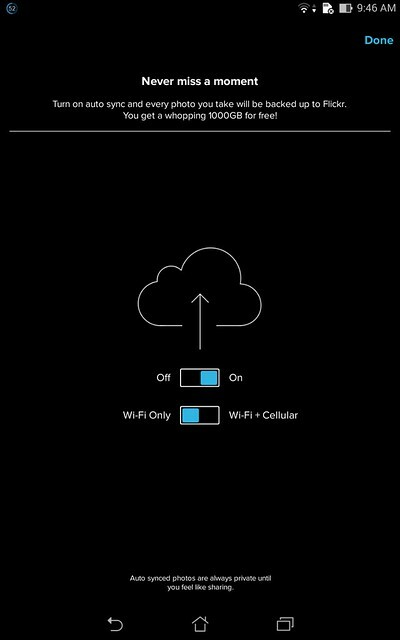 In your syncing settings, you can choose to sync over Wi-Fi and your cellular network, sync or over Wi-Fi only, or turn syncing off entirely. Currently Facebook gives 2GB of space to save your photos. OneDrive is personally one of my favorite cloud storage. You can use OneDrive to store your personal photos, videos, documents etc. 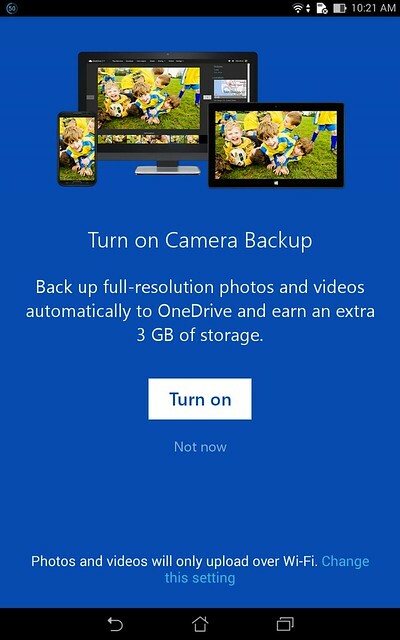 Using Camera backup, you can automatically upload photos and videos to your personal OneDrive. Sign up for OneDrive and get 15GB of storage absolutely free and adding a OneDrive mobile app to your account grants users another 15GB of free storage. Google Plus is a social networking platform run by Google. 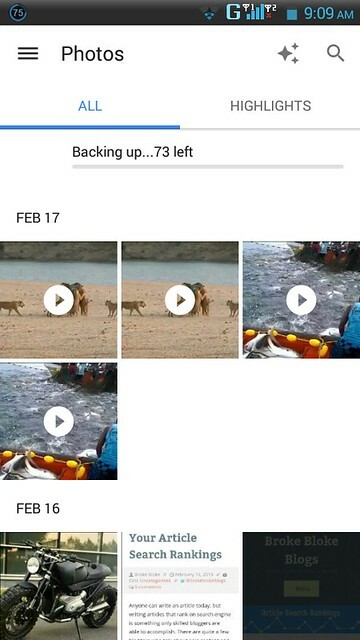 The automatic uploading is run through Google Plus, your photos and videos are stored privately and accessible from anywhere, plus when you turn on Auto Backup they’ll be automatically. Shoebox is your personal photo collection with unlimited free photo backup for all your devices. Shoebox will automatically backup your photos with 100% private and stored with the same encryption used by banks. Currently Shoebox’s video backup in beta that allows backup your videos that are 3 minutes or shorter. Amazon’s free Cloud Drive Photos lets you save photos and videos in your Cloud Drive. Amazon offers 5 GB of free cloud storage space for all Amazon customers and Free unlimited photo storage for Amazon Prime members. If you are a Amazon Prime Member, Amazon’s cloud drive photos is the best cloud option for you to backup your photos in high resolution. We just listed the best and you can use Dropbox, Box, Mega to save your photos that also comes with auto upload feature. How to Remove Pre-Installed Apps from Android Phones ? How to Fix Poor Battery Backup Issue on Samsung Galaxy Alpha ?